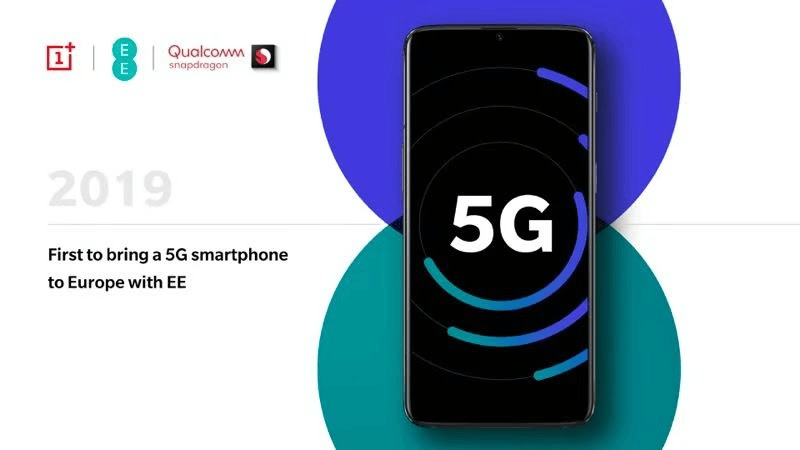 Chinese handset maker OnePlus will join the growing roster of handset makers rolling out their 5G smartphones with a flagship device next year, featuring the latest Qualcomm Snapdragon 855 mobile platform. Speaking at the Snapdragon Tech Summit, OnePlus CEO Pete Lau said the company would have the first flagship smartphone to feature the Snapdragon 855 that will be rolled out next year in Europe in partnership with telecom operator, EE. Lau did not share any more details of the planned device, but said: “we know that the 855 is the most powerful chipset, it is definitely the one and only choice for our phone”. However, it remains to be seen whether the 5G handset will make its way to India, which is a key market for OnePlus. 5G services — which promise to bring in faster data speeds for users — are expected to be rolled out in the US, parts of Europe, South Korea, China and Australia in 2019. In India, such a rollout would happen after spectrum auction. While the Indian government is yet to announce a specific timeline, the industry wants spectrum auction to be held in the latter part of 2019. The Indian government is also upbeat on 5G deployment in the country with Telecom Minister Manoj Sinha recently saying that India “cannot afford to miss the 5G bus”. Apart from higher internet speed, the advent of the fifth generation of wireless system or 5G will also enable massive internet of things (IoT) deployment that would significantly impact sectors like manufacturing, retail, education and healthcare, among others. Samsung had on Tuesday said it expects to bring its first flagship 5G smartphone to the US in the first half of 2019 that will use the Snapdragon 855 mobile platform with the 5G X50 modem. Lau said OnePlus has also been collaborating with Qualcomm for 5G since 2017. “We are thrilled by its powerful performance and 5G capabilities. OnePlus will continue to bring its users the best technology and the best user experience possible,” he added. Citing a report by research firm Counterpoint, Lau said OnePlus held a 30% share in the premium category (Rs 30,000 and above) in India during the July-September 2018 quarter, taking the top spot for two consecutive quarters ahead of rivals, Samsung and Apple. He pointed out that including OnePlus, the premium smartphone market in India grew by 44% in the first half of 2018. However, minus OnePlus numbers, the premium segment shrunk by 12%, reflecting the strong growth being seen by the brand, he added. OnePlus has recently launched its OnePlus 6T handset in India — a key market for the company. In August, Lau had said India accounted for about one-third of OnePlus’ revenues last year and is set to become the second home ground for the company. I am planning to buy a new phone. Should I go for poco or one plus 6t?? I mean is it worth to spend 15k extra for one plus device? Also should I wait untill next year or purchase now?? No need to buy One Plus 5G device in India yet. One Plus 6T is far better option in my opinion for one and half year from now onwards. Samsung should think of their strategy of pricing. Ugly cutouts for front camera is not going to help them at all. Cutouts is ugly, but Sammy is also making an under display camera which is really cool. We don’t know much about how the market will work next year, so best not to speculate. I won’t like ugly cutouts at all no matter what happens. I hope one Plus doesn’t go the same way. I just wanted to say current One Plus is good enough for one and half year from now onwards. Because it has amazing battery life and updates wise it will get Android R if it exists. Google looking to implement Fuschia OS to replace Android. Huawei also has cutouts on Honor View 20.